Converged Data Platform provider MapR Technologies, Inc. announced last week the appointment of Matt Mills, previously president and COO, as chief executive officer and board member. Company founder and previous CEO John Schroeder will assume the role of executive chairman. Schroeder will remain involved full-time with the company, continuing to partner with Mills while focusing on product vision and strategy, investor relations and industry and customer relationships. Both executives assume their new roles effective immediately. This change is a natural evolution for the company, capitalizing on existing MapR leadership. Mills and Schroeder bring strong complementary skill sets, as the company has posted four consecutive quarters of record growth under their shared guidance. “It was very important for us to bring on a leader who shares the MapR vision for creating the next big platform for business, while maintaining our goal of building a company that will last,” said Schroeder. Mills is an industry veteran who brings a track record for leading high-growth organizations. 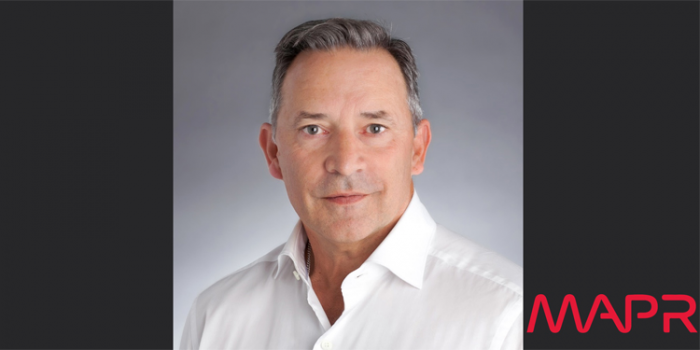 He joined MapR after 20 years at Oracle, most recently leading the NA business while serving on the company’s executive committee. “I am honored that John and the Board have entrusted me with this incredible opportunity. MapR delivers the one technology platform that companies can rely on to bridge legacy systems with next generation applications, enabling real business transformation,” said Mills. MapR has built a business based on software licensing that is growing at 100 percent annually. The company’s products have become the technology backbone for many largest companies, including brands like American Express, Cisco, Ericsson and Samsung.